Happy Monday! We’re showing off two beautiful collections, Havana and Santorini, today! Yes, they are sun-filled, gorgeous lines that are so versatile you can use them for almost any theme or project type! Come see! Tanya combined both lines to create these adorable pillow gift boxes! She created one for each line + we have FULL instructions! 1. Cut two pillow box shapes from the collection sheets using the pillow box cutting die. Adhere the tabs with sticky red double sided tape and assemble accordingly. 2. Cut a few die cut shapes using Prima dies and other various dies for the decoration cluster to be added to the box. Adhere the cluster with foam adhesive squares to give it some dimension. 3. Add a starfish embellishment to the decoration cluster on the box to give it that extra beach feel. 4. Select a few pretty Prima flowers to add to your box. 5. Add some beautiful decorative tape on the one side of the box. 6. To finish off the project add some say it in crystals. We love to show you beautiful, inspiring projects, but we are also devoted to show you how YOU can create these projects too! From Tanya’s step-by-step, to our Thursday Tutorials, to Facebook Live each week, we are dedicated to taking time for education on all of our products! We invite you to join us today with our special guest: Riikka Kovasin, as she shares fun techniques for creating mixed-media ATCs with a surprise on the back! 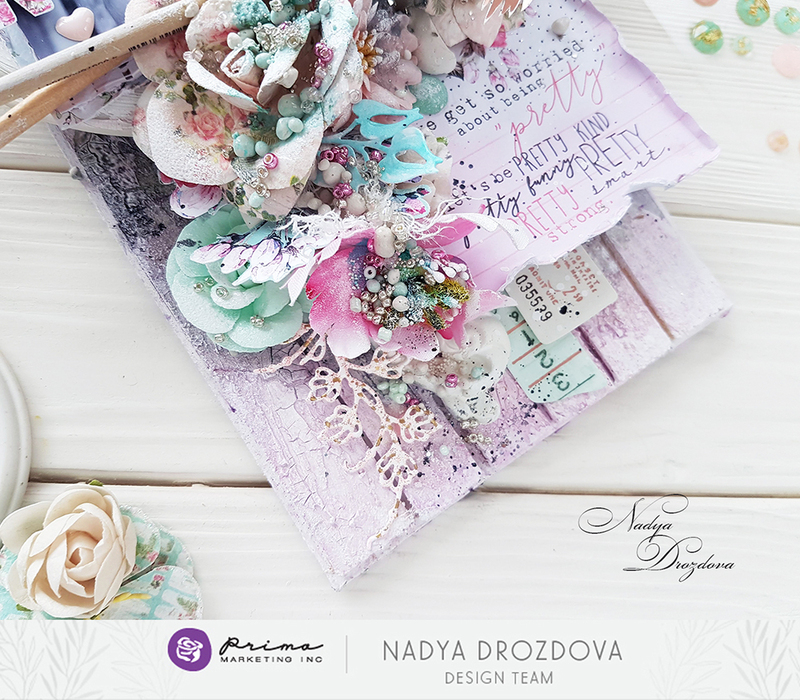 It’ll be happening TODAY on our Create With Prima Facebook Page right here at 11 am pt/2 pm et!